Engage on an adventure with Alma's LDS Tours to the proposed Land of Bountiful and enjoy a fantastic experience in a world-class Jungle lodge where you will reconnect with mother nature. 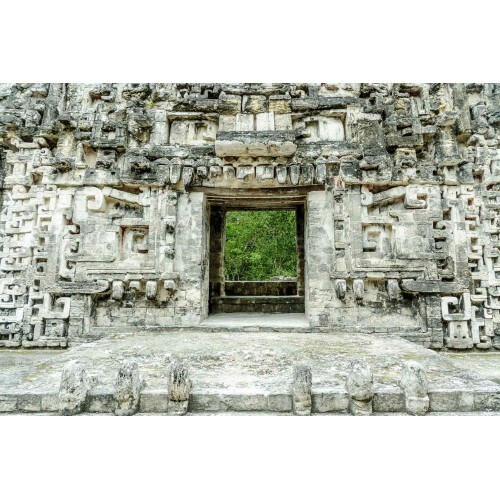 On this tour, we take you to visit the best Mayan ruins for LDS families in southern Mexico such as Dzibanche, Becan, and Calakmul that provide a better understanding of the conflict and battles which may have affected the people from the Book of Mormon. 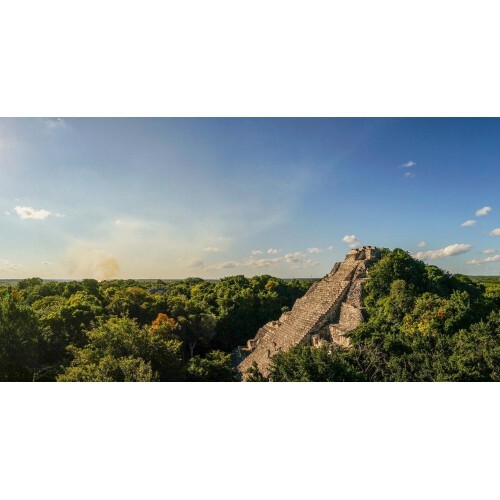 Discover Mayan ruins currently under excavation, climb the tallest temples and learn about the defensive mechanisms used to fortify their cities such as moats, trenches, dirt walls, all as mentioned in Alma 49-52. Make some room in your vacations and book this short 3-day trip off the beaten path, and see the real Mexico. You'll be back in time to continue enjoying the beautiful white sandy beaches of Cancun and the Riviera Maya. Book this tour today, with Alma's LDS Tours. 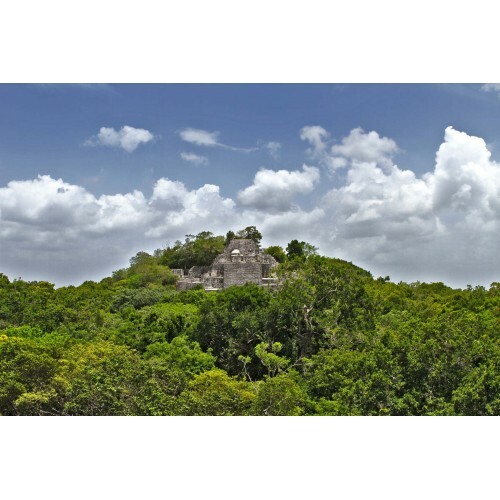 We depart from your hotel in Cancun or the Riviera Maya, and begin our expedition to Dzibanche and Kohunlich; both considered candidates for the city of Bountiful mentioned in the Book of Mormon. Enjoy the fantastic commentary from your guide as we stroll through the most charming and colorful towns and villages. 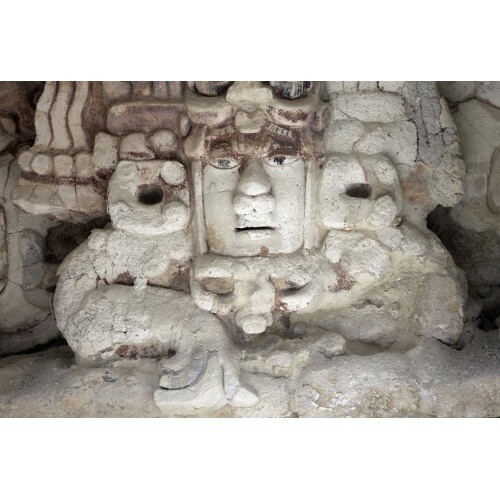 Two magnificent examples of Mayan warfare await us at Becan and Calakmul. At Becan see the incredible moat dug out to secure the city, climb temples and walk through chambers. 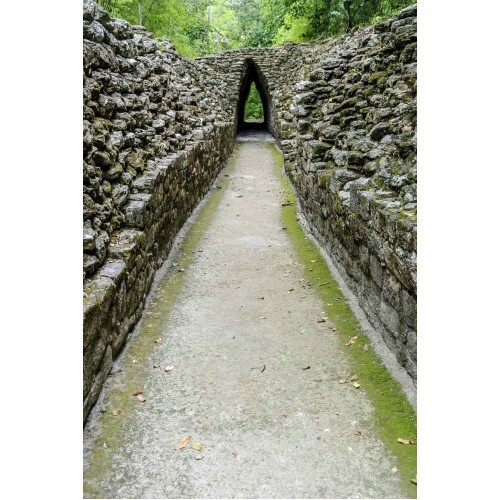 At Calakmul learn about the Kaan empire and the great wall used to defend the city. Our last day, before heading back to paradise. Check out Chicanna, a rather small Mayan site, but with lots of detail and incredible facades, a faithful witness to the Rio Bec architectural style. See the frieze with the face of the Earth Monster decorating the entrance to the palace. Last but not least, your visit to the south would not be complete without a visiting Mexico's newest top eco-destination: Bacalar. Enjoy a pleasant meal and a fantastic view of the 7 Color Lagoon, and after, jump-in for a swim or rent a paddle board and explore the lagoon. Accommodations: Eco-Jungle Lodge near to Xpujil, Campeche. Refreshments: Bottled water provided daily. Additional activities sold separately at Bacalar, for example, kayaking, jet skis, paddle board, etc. Call for groups larger than 25 passengers for special rates!